Time until The D.R.G. Initiative release day! The D.R.G. 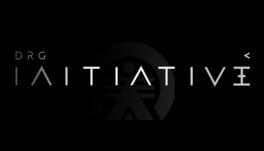 Initiative is a team based, 3rd person combat game set in the future on a ravaged Earth. Teams from the remaining factions of civilization take on each other in a brutal gladiatorial TV show. Featuring deep Twitch integration, viewers can interact with the game-in-progress and mix up the gameplay for the competing teams.